The library at Fremd is regularly used throughout the year, but it will be closing for renovations second semester. Fremd is always trying to improve upon their different facilities with modern architecture and styles, the most recent being Room 2, the Business Incubator room which was renovated last year to help incorporate the recently added Business Incubator class. While this renovation is very beneficial for Fremd and its approximately 2760 students, there are still a plentiful number of people who use the library on a regular basis and with the closing of the library, will not be able to go to the area of the school where they do their homework, meet up with friends, or talk with their teachers. Throughout the duration of second semester, the library will temporarily be located in lab room 164, the tutoring center will be in room 166, and the tech center in room 8A. Head librarian Toni DiModica mentions that many discussions of the library’s temporary relocation ensued throughout the past few months. To some, the library’s closing would interfere with a large number after-school schedules. 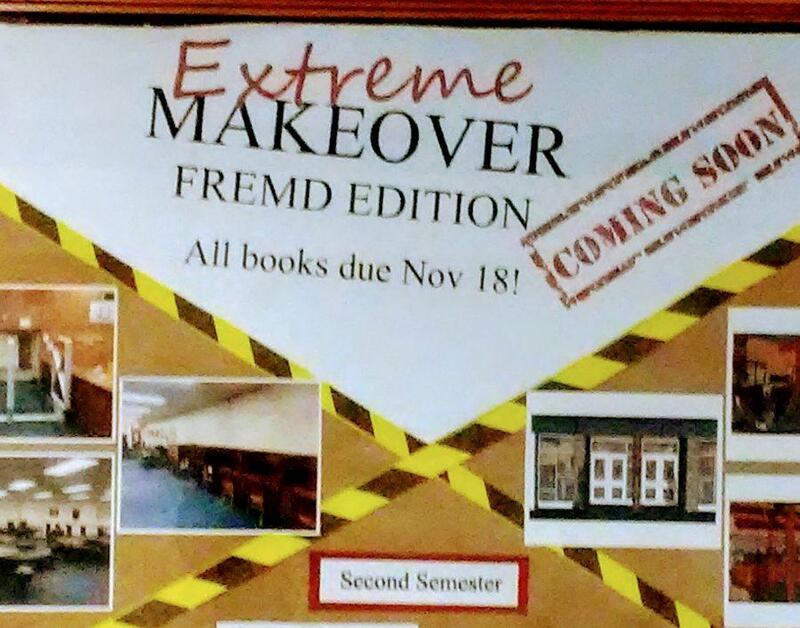 Freshman Sarah Madden sees the library’s renovation during second semester as an improvement upon Fremd’s overall design, but also sees the negative sides to this change. On the opposite spectrum, as senior Brian Rosenwinkel graduates this year, he is supportive of the library’s renovation despite the fact that he will not present to see the final result. “I wish it would have happened sooner, but I am very excited for the future of Fremd and its renovation,” Rosenwinkel said. There are going to be many positive aspects from this upcoming renovation with the modern look that the architects hope to put forth through this renovation. Monitors will replace posters on library walls, new lighting will be installed, walls will be painted with more modern colors, and the walls will be composed of different materials such as wood and stone. Toni DiModica goes into more detail about what to expect from the library’s change. There are a lot of exciting changes in the horizon for Fremd High School and its current and future students. The library closing does have its negative aspects, but in the long run, students can expect a more improved and more modern look to their library.